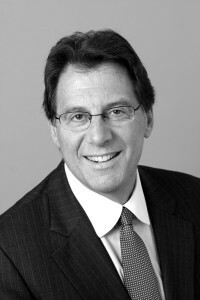 Bill is Founder, President and CEO of Heyman Associates, as well as Founder and Director of Taylor Bennett Heyman, an affiliated firm with offices in Hong Kong, Singapore and Melbourne. He has filled top communications roles for some of the most recognized brands in the world, including leading corporations, foundations, academic institutions and professional associations. With his diverse network and passion for executive search, he sets the example for HA and TBH in building top-performing communications teams around the globe: listen to our clients, get to know their unique corporate cultures, and deliver candidates with the right mix of hard skills and intangible qualities. Bill is involved in a number of professional associations. He is a committee member of The Seminar, a member of the Arthur W. Page Society, a trustee of the Institute for Public Relations and a founding board member of The Plank Center for Leadership in Public Relations at the University of Alabama. Bill is also a member of the Department of Communication Advisory Council of the College of Charleston and has served as an Executive Advisor to the department since 2007. In collaboration with The Plank Center, Bill has initiated four groundbreaking public relations studies. Most recently, in the Leadership Report Card, over 800 senior communicators rated their organizations’ commitment to employee engagement and empowerment. He also co-chairs The Plank Center’s annual Milestones in Mentoring awards dinner. A Gettysburg College graduate, Bill has served on the school’s National Campaign Steering Committee, Communications and Marketing Advisory Council, and Board of Fellows. He has served as President of the Class of 1974, is a mentor for the college’s Young Alumni Leadership Program and received the Gettysburg Meritorious Service Award. Bill earned his MBA from Adelphi University. Bill gets his energy to meet new people by starting his day as early as 5:00 a.m. at the gym, but this doesn’t stop him from staying at the ballpark to watch his beloved Yankees, even when they go into extra innings. Bill and his wife Doreen have two daughters and live in Matinecock, New York.